We’ll endeavour to make this very clear by placing this disclosure right at the top. Neither the Beverage Start-Up News (BSUN), its parent Company Revelers.IO Media Group Inc., (RIO) are licensed to sell securities. We are not a Broker/Dealer, a Private Placement Agent nor a Registered Investment Advisor. We are not compensated to sell any of the offerings you may find on this website, nor do we recommend any of the offerings you may find on this site or offerings linked to from this website. Further, linking to third party websites and/or platforms does not imply approval or recommendation of such websites. We are compensated by certain Companies to post basic listing information, with links to the site and/or platform where further information on the issuer can be found. We are compensated to carry the same information, which is delivered to the subscribers of the weekly BSUN newsletter. We are compensated to carry the same information in newsletter alerts, for newly listed or outstanding offerings. We offer to Companies for compensation, the option of delivering their basic listing information to the email addresses of various financial newsletters including the Beverage Stock Review (a related publication) and/or directly to custom email databases such as Investment Brokers, Investment Bankers, Beverage Industry Executives, Bar & Restaurant and Previous CrowdFund Investors filtered by prior investment size, prior category investment (such as beverages) and geographically. We do not perform due diligence on any Company listed on our website, without regard to whether we have been compensated or not. We do not perform due diligence on any website and/or platform which we link to. In any and all instances, when we are compensated, there will be an easily identifiable ‘breadcrumb’ stating ‘Client.’ Under no circumstances will any of our interviews, product, and corporate reviews discuss any of the terms and/or merits of any offer. Regulation D offerings linked to from BSUN are only suitable for accredited investors. All company listings on BSUN are only appropriate for investors who are familiar with and willing to accept the high risk associated with startup investments. Securities sold via the various platforms linked to are not publicly traded and are not liquid investments. Companies seeking investments on platforms linked from BSUN tend to be in very early stages of development with little or no operating history. Investors must be able to afford to hold their investment for an indefinite period of time, as well as the ability to lose their entire investment. Investing in startups and early-stage businesses involve RISKS including ILLIQUIDITY, LACK OF DIVIDENDS, LOSS OF INVESTMENT and DILUTION. If you choose to invest in businesses displayed on this portal, you need to be aware and accept that (1) you should invest money you can afford to lose, (2) the stock purchased is restricted, that is such asset is highly illiquid, (3) even if the business is successful, you might not receive any cash return on your investment for years, (4) ordinary events in the life of the firm can cause your ownership percentage to decline, and (5) investments in early-stage companies, should be done only under a larger investment plan whereby the vast majority of the capital is placed in safer, more liquid assets. You typically will only be allowed to invest with most Crowdfund platforms after you have registered and completed their varying educational requirements (which we highly recommend). By viewing material on this website, you agree to the following Terms of Service. 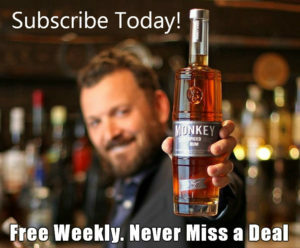 Use of the Beverage Start-up News is at your own risk. In no event should Revelers.IO Media Group Inc., or any affiliated party be liable for any direct or indirect losses caused by any information derived from this site or on sites we link to. You further agree to do your own research and due diligence, consult your own financial, legal, and tax advisors before making any investment decision with respect to transacting in any securities or offerings listed herein. 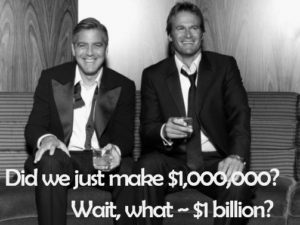 You should assume that as of the publication date of any Executive Interview, Press Release, Product or Corporate Review, that Revelers.IO Media Group Inc., (possibly along with or through our members, partners, affiliates, employees, and/or consultants) along with our clients and/or investors may have a long position in the offerings covered herein, and therefore stands to realize significant gains in the event that the value of any offering covered or listed herein rises. Nothing on our website or newsletters constitute an offer to sell or a solicitation or an offer to buy any offering or security, nor shall any offering or security be offered or sold to any person, in any jurisdiction in which such offer would be unlawful under the securities laws of such jurisdiction. Such an offer or solicitation can only be made directly by the issuers, and those issuers are solely responsible for the contents of any offering materials made available to prospective investors on the various crowdfunding platforms engaged by the issuer. To the best of our ability and belief, all information contained herein is accurate and reliable, and has been obtained from public sources we believe to be accurate and reliable, and who are not insiders or connected persons of the offering covered herein or who may otherwise owe any fiduciary duty or duty of confidentiality to the issuer. However, such information is presented “as is,” without warranty of any kind – whether express or implied. 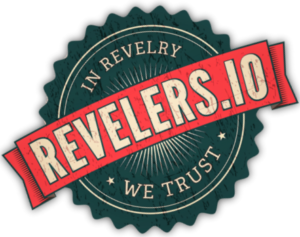 Revelers.IO Media Group Inc., makes no representation, express or implied, as to the accuracy, timeliness, or completeness of any such information or with regard to the results to be obtained from its use. All expressions of opinion are subject to change without notice, and Revelers.IO Media Group Inc., does not undertake to update or supplement any report or any of the information contained herein. (B) an investment professional (e.g., a financial institution, government or local authority, or international organization) falling within Article 19 of the FPO. You further agree that any dispute arising from your use of the Beverage Start-Up News website or viewing the material hereon shall be governed by the laws of Florida, without regard to any conflict of law provisions. You knowingly and independently agree to submit to the personal and exclusive jurisdiction of the superior courts located within the State of Florida and waive your right to any other jurisdiction or applicable law, given that accessing Revelers.IO Media Group Inc., has an office in Florida. 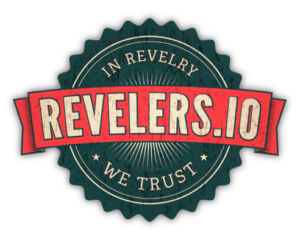 The failure of accessing Revelers.IO Media Group Inc., to exercise or enforce any right or provision of these Terms of Service shall not constitute a waiver of this right or provision. If any provision of these Terms of Service is found by a court of competent jurisdiction to be invalid, the parties nevertheless agree that the court should endeavor to give effect to the parties’ intentions as reflected in the provision and rule that the other provisions of these Terms of Service remain in full force and effect, in particular as to this governing law and jurisdiction provision. You agree that regardless of any statute or law to the contrary, any claim or cause of action arising out of or related to use of this website or the material herein must be filed within one (1) year after such claim or cause of action arose or be forever barred. Institutional Analyst Inc., Beverage Stock Review Disclaimer.